Christmas is an exciting time of the year as we celebrate Christ, love, life and family. This is the season of caring and sharing gifts with those who mean the most to us. For those unable to share this time with our loved ones back home, we all know how much joy it brings them when we send a Forex Balikbayan Box full of goodies. You could just imagine the smile on their faces as they see the box delivered and opening it with great anticipation. It is absolutely rewarding for us to know how much they appreciate the effort, time and money in putting all the those supplies, goodies, and gifts together for them. 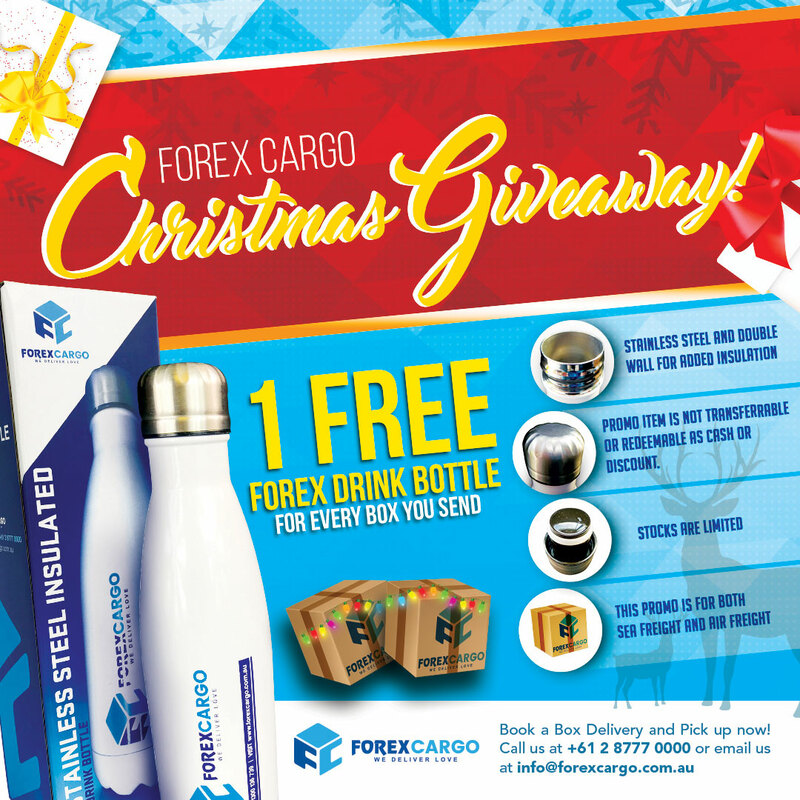 During this time we would like to celebrate the continued love and support you have for your loved-ones in the Philippines by giving away 1 Free Drink bottle for every Forex Balikbayan Box you send during this period, which means the more boxes you send, the more free Drink bottle you get. Promo commences September 17 and ends December 14, 2018 (or until stocks last). Stocks are limited and will no longer be available once it runs out. So hurry! Item will be given at the time of pick up. Order your Forex Box Today! Call us at +61 2 87770000, email us at info@forexcargo.com.au or download and use our Forex Cargo App via your Android or iOS device.